Hi there everyone thought you might be intrested in a new project i`ve just started this year. It all came about when someone crashed into my nice mk2 1.8T golf syncro, which i had managed to squeeze a 12.7@113 quartermile out of. 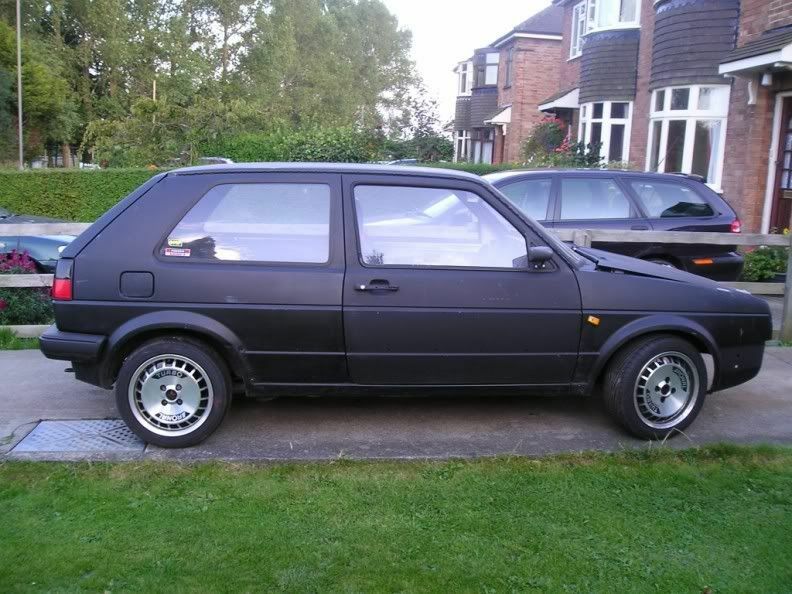 Anyway i made myself another mk2 golf syncro, which used to be a 3 door 1.3 which was the first golf i ever bought when i was about 19. Things didnt go too well with this car and i managed to demolish the golf rallye g box with an uprated cluth with only about 300 hp. 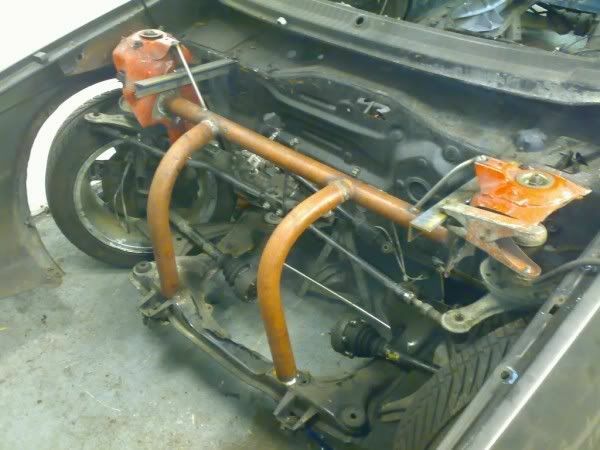 So i was getting a bit tired by this point and things started ticking in my head i thought about putting the 1,8t engine on a longitudal quattro box in the golf, but i had allready sold the engine to my mate and he did`nt want to sell me it back. 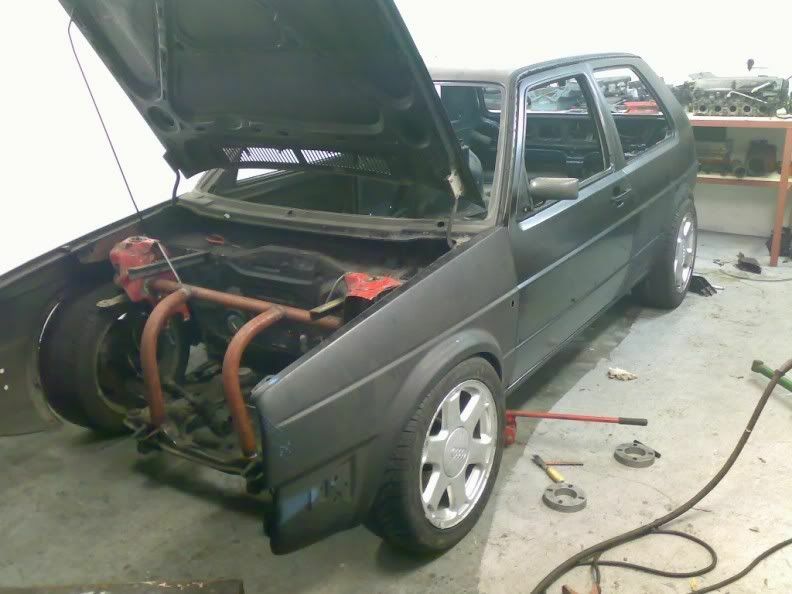 So then i thought F*@k it i`ll make an audi S2 based mk2. Earlier this year i spotted an red ABY 1994 S2 avant down in Bristol with 180k on it and it was soon sitting pretty on my drive, well apart from the back end being stoved in but it was cheap. I made sure i had a few days insurance when i got it because i`ve never drove an S2 before and was a bit curious. anyway i was well impressed with the handling and the power but did smoke the brakes and the clutch, but what the hell. 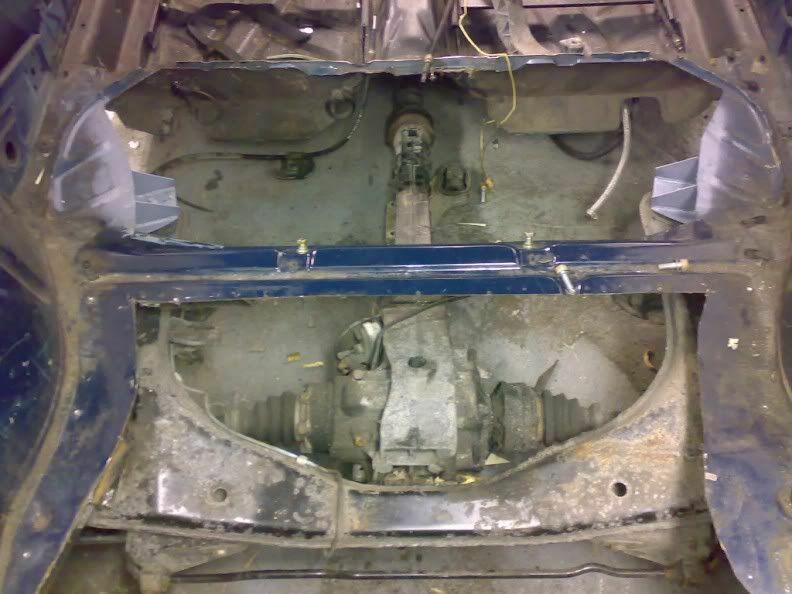 I soon got to work stripping the car and selling the bits (sold like hotcakes)and got started on the project. 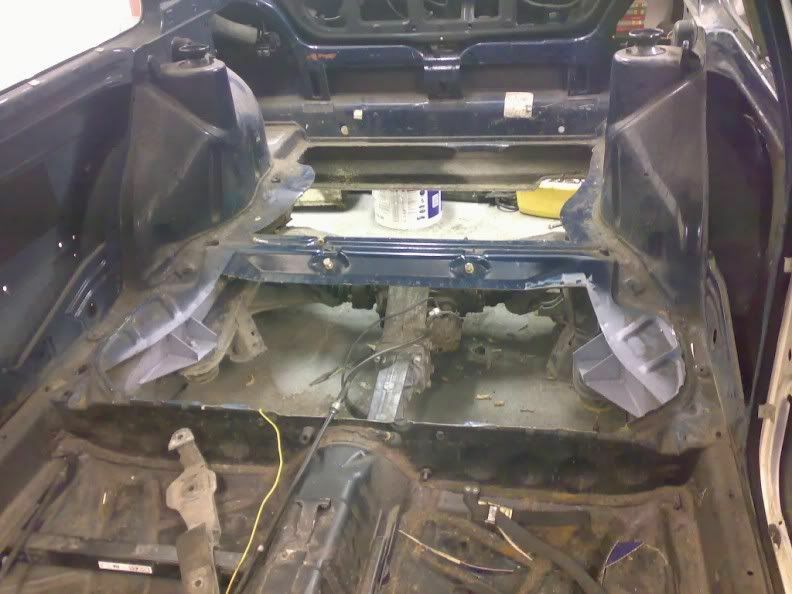 It`s only early stages but i have mounted the front and rear subframes and have started installing the roll cage which will eventually hold the front subframe in place as i intend to space frame the front end. Anyway here`s some pics but bare in bind its eary stages . The last pic Is`nt my car it`s just what the cage is going to look like when it`s in. Nice project, was it you who called last week? What you think will it be under 800 kg when finished???? Yes it is Corey. dosent matter about the con rods tho i`ve found a really cheap set. Did yuo find any prices for the other parts? Im gonna struggle to get the car under a ton, and the back end is a modified S2 avant. Yeah i know paul, top bloke gave me some parts for other projects in the past. I`ve not been in touch with him for ages tho. I did and will delve into the mess I call a desk tomorrow and give you a call. If you cant find my number send me a pm. You are a maniac! Well done! Nice goin Baz, you even managed to use photobucket. Kingdoms are run by Kings, Dictatorships are run by Dictators. England must be a Country. Nice work That's rather mental! Please keep us updated, I love it! All times are GMT. This page was generated at 03:26.